Long term investing, set it up once and it continues to pay you. Every successful real estate investing business needs systems that generates reoccurring cash flow, equity, and security for the future and retirement while while avoiding taxes. How many properties are required for you to buy and hold in your portfolio for repeatable monthly income and a solid future? Will you be ready for retirement? Now you can answer yes because Real Estate Investing Guru Review is here to show you how. An investment in Rental property produces positive cash flow and the tenants pay off your mortgage. As you hold the property it appreciates over time, creating equity. You can pull out all of your equity without paying taxes on it by simply mortgaging the property for the appraised value every 5 years. Only when you sell the property will you have to pay the taxes on it. So big hint here, don't sell just keep refinancing every 5 years and you'll have continual money from long term investing. There are many more ways to make money with rental properties than just collecting rent. Owner financing lets you hold the paper (mortgage) and collect monthly payments. Real estate investors love this because it requires very little work or time once the paperwork is in place + It can easily be done across the nation. The real estate is the collateral for the mortgage which keeps your investment safe and reduces your liability. And if you no longer want to collect monthly payments, you can always sell your cash flow note to a mortgage note buyer. given the state of our economy. Vacant land doesn't need a babysitter and because of this many investors find it attractive to own vacant land and be an absentee owner. Nothing needs to be maintained except for mowing and trash to stay in the good graces of the code officials. Out of pocket expenses remain low. Just hold the property for long term investing and wait for a lump sum payoff sometime in the future when you decide to sell. It gives a much better return than CDs or the stock market and its a safe investing strategy too. The best properties to buy for long term investing, are in working class neighborhoods which are usually made up of 30% stable homeowners. This kind of stability attracts the best tenants with and has the lowest vacancy rates of all investment properties. Avoid the other hard areas because you are looking for the cream of the crop. Choose neighborhoods with sidewalks, street lights, and playgrounds. Don't be mistaken, the hard neighborhoods will make you money too because the properties are cheap. But it is a much rougher job to collect rent each month and vacancy rates are high. Single family homes provide liquidity, are more stable, and financing SFR is easier than multi-family units. However unlike multi-family units if a SFR is not rented there is not any income. Condos provide liquidity, are cheap to buy, and are like apartments; very convenient and easy to rent. They usually have their own built in manager, but also too if the condo is not rented then there is no income. + Condos have monthly maintenance fees that you must watch out for because the fees always increase over time. Duplexs and triplexs including anything up to 4 units. The tenants are entry level tenants and most times do not have the best credit. The financing process for duplexes and triples is considered the same as for a single family home and the complete process between 30 to 45 days. 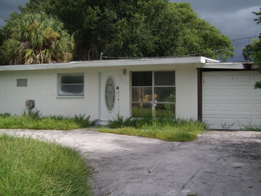 + If one unit is vacant the other units will help to offset the loss of income. 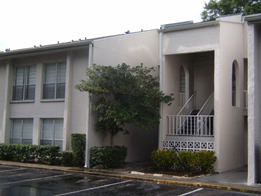 Apartment buildings will require special financing and the installation of onsite property management. Many units are in one building offsetting maintenance costs and the loss from vacancies are not as detrimental. Property management is important for eliminating headaches, tenant screening, and giving you a peaceful night sleep knowing all is covered and it will not be your phone ringing in the middle of the night with an emergency. It will cost between 7-10% and get a NARM certified member or a well experienced manager. Also set some checks and balance systems in place. You can refinance (cash out) on the property after it is rented and cash flowing. That way you'll have all of your equity out of the investment and without any taxes owed to Uncle Sam. Plus, any interest that you pay on the mortgage is written off on your income taxes. And you still own the property. By building long term investing goals into your business plan you'll never worry about your future or retirement again.